Drinking the Pistil and Ticket to Rye from Magic Hat has worked wonders for Doc but has left Wolf shooting blanks. In this episode, the group continues to fight Tormad "The Hard to Pronounce." Will Gub have another name to tattoo on his arm, or will the masked Dragonborn get the best of him? And whatever happened to Dovana? Will Ryan Gaul be the end of our heroes? 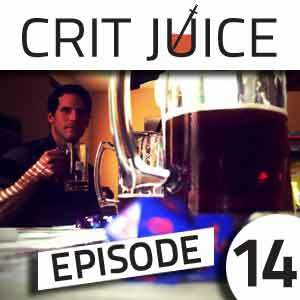 All this and more in this episode of CRIT JUICE! Posted in RS005 and tagged with 2. April 26, 2013 by Crit Juice.